Over two million homes in Australia currently have solar energy systems installed. Of these, the most commonly-used by architects and builders targeting sustainability are rooftop photovoltaic (PV) panels. PV technology works by converting sunlight into electricity via cells that are combined into panels. However, a number of recent innovations in the market might just be set to change the way we think about PV panels. Below are four products to keep an eye on, including one that has been pioneered right here in Australia. US-based Solar Window Technologies is currently developing a first-of-its-kind, electricity-generating window that is engineered to out-perform rooftop solar 50-fold. 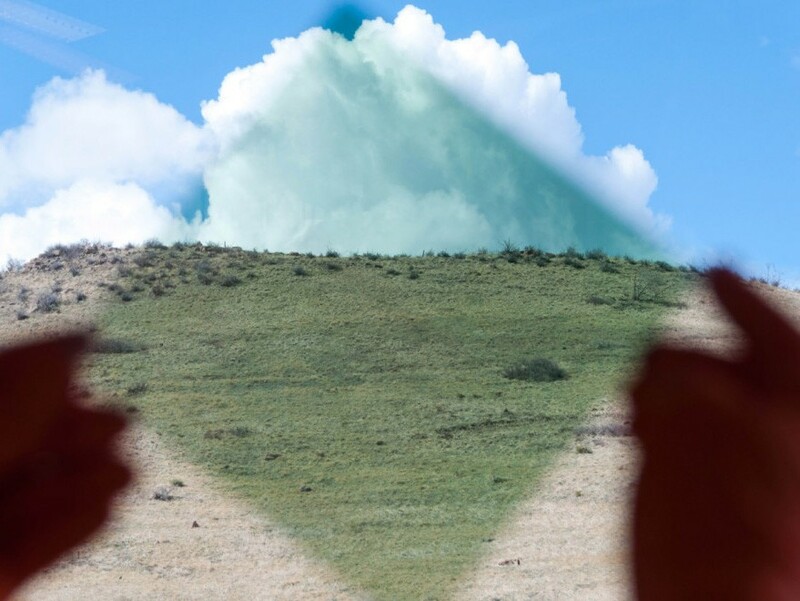 According to Solar Window Technologies, applying electricity-generating liquid coatings to glass converts passive windows into electricity generators. This can be done under natural, artificial, low, shaded and even reflected light conditions. The new product, called SolarWindow, will achieve financial payback within just one year, according to a financial modeling study. Hypothetically, it is also able to achieve 12 times the environmental benefit of traditional solar when applied to all four sides of a 50-storey tower. Although the most significant benefits seem to come from commercial applications, SolarWindows is additionally suitable for detached residences. Smart Window Technologies is also working on transparent, electricity-generating veneers that can be applied directly to a home’s existing windows. Similar to SolarWindows, smart solar blinds by SolarGaps allow homes and office buildings to capture and use the sunlight that’s naturally directed through their windows. Currently being crowdfunded by founder Yevgen Erik, SolarGaps is being marketed as an all-in-one solution. The product combines two energy-efficient functions: blocking harsh sun from entering a room, and harnessing the sun’s rays for energy. SolarGaps is ideal for homes and apartments that do not allow roof-mounted solar panels. The smart blinds can be mounted inside or outside windows to generate electricity, which can in turn be used to power devices in the home or stored in a home battery storage solution as emergency back-up power. Excess electricity may even be sent back through the grid. The solar blinds may be monitored and controlled via a smartphone app. They are efficient enough to generate up to 100 watt-hours per square metre when mounted outside, and up to 50 watt-hours per square metre when mounted indoors. “A three-room apartment with windows facing south will be able to produce up to 600 watt-hours, or about 4 kilowatts, per day,” SolarGaps Inc notes. Tesla is best known for its driverless cars, but the company is also pushing the boundaries in the field of ESD. Closer to traditional roof-mounted PV panels than SolarWindows and SolarGaps’ blinds, Tesla’s Solar Roof is designed to complement a home’s architecture while performing the same practical function as traditional solar panels: turning electricity into sunlight. The company offers two types of glass tiles – solar and non-solar – that both have the same appearance from street level. This allows homeowners to customise the amount of electricity they want their Solar Roof to produce. The product integrates with a Powerwall battery, which means energy collected during the day may be stored and made available at any time. Tesla’s Solar Roof tiles are made of tempered glass, and are over three times stronger than standard roofing tiles. So certain is Tesla of their strength, the Solar Roof tiles come with a warranty that covers the lifespan of the entire house. Preorders have already begun for Tesla’s solar shingles, with estimated costs inclusive of materials, installation and the removal of old roof tiles. Researchers at The University of Newcastle, led by professor Paul Dastoor, are keeping Australia in the race to innovate with their printed solar cells. The cells are made by applying advanced electronic ink to paper-thin, clear laminated sheets. Impressively, this is done using conventional printing presses. The printed solar cells developed at The University of Newcastle are said to maintain a more reliable power flow in low-light and cloud-cover conditions than traditional PV panels. The solar cells are so sensitive that they can even produce small quantities of energy from moonlight. The lightweight and easy-to-install film can be printed quickly: ten printers are capable of printing enough material to power up to 1,000 homes every day. Moreover, the technology delivers unprecedented affordability. The printed solar cells cost less than $10 per square metre. This cost could potentially be decreased by the introduction of a new service delivery model, which Dastoor says will remove key barriers to solar uptake in the community. “It might operate like a telephone line, where customers choose a service plan based on their usage requirements but do not need to outlay the physical cost of the line installation and associated upkeep. The system is owned, maintained and updated by the provider, and customers could scale their plan up or down as their requirements [changed],” he said. The UON research team recently launched Australia’s first large-scale demonstration of the printed solar panels. The demonstration site will allow researchers to monitor how the printed solar cells respond under different real-world conditions. “This installation brings us closer than we have ever been to making this technology a reality. It will help to determine the lifespan of the material and provide half-hourly feedback on the performance of the system,” says Dastoor.